This weekend large heaps of Londoners and other fiends alike will take a much anticipated musical pilgrimage to Brecon Beacons in Wales for this year's Green Man Festival. For the most part, we're lucky enough to have some of the best in new music located right at our doorstep, and would rarely, if ever, be found travelling as far as four hours for one captivating live show or another, but Green Man is the exception. It has one of the most diverse and appealing lineups of any UK festival, boasting acts such as Cate Le Bon, Grizzly Bear, Kelly Lee Owens and more. 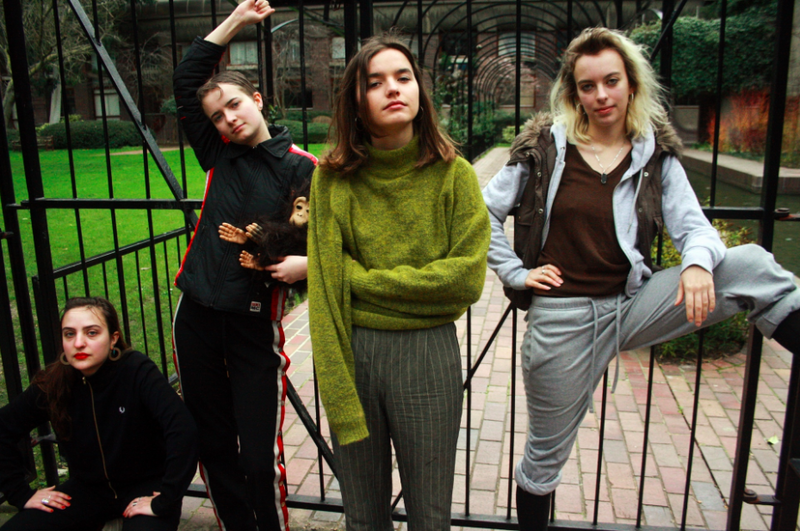 One of the bands making the trek (and requiring your immediate attention) is Goat Girl. If you haven't spent that past couple of months riotously chanting along to their beautifully crafted debut album, then quite frankly that's your loss. 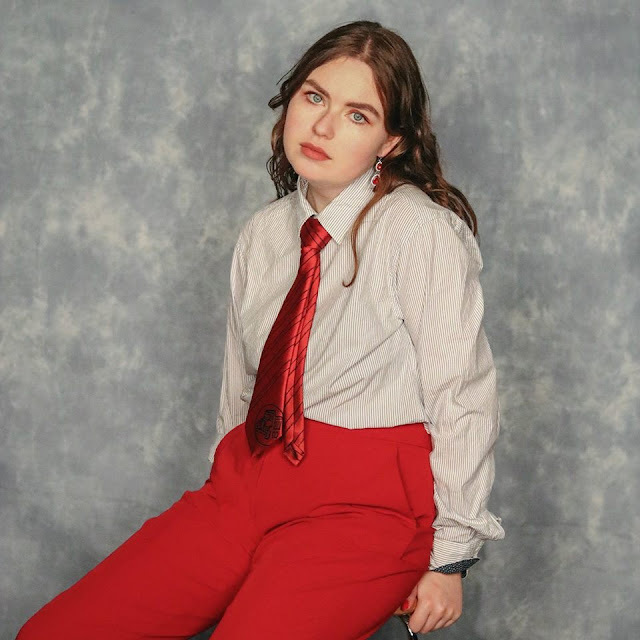 Hailing from South London, Goat Girl are a band that over the past year have established themselves as a live and recorded tour de fource. To get you all excited for Green Man 2018, particularly GG's set, we caught up with drummer Rosy Bones and front-woman Clottie Cream ahead of their Saturday slot at the festival. What's your most stand out festival memory? Rosy: Probably at Latitude when I lost the car keys! Lottie: So you admit you lost the keys, aha? Rosy: Well I woke up and my whole bag wasn't there, all the instruments were in the car and we had to get someone to get into the car before we went onstage. Who are you excited to see at Green Man? Rosy: I'm very excited to see Beak>! I missed them at Latitude and heard they were absolutely bangin'. Lottie: Yeah, I'm excited for Beak> and Jane Weaver. Green Man has one of the most diverse/equal lineups of all the British and European festivals happening this year, do you think this is a step in the right direction for festivals and line-up equality? Rosy: Definitely, I don’t feel it can be forced though. I think Green Man has one of the most diverse lineups because it’s that sorta 6music audience, which plays a very wide range of modern and classic tunes from all kinds of different people. There’s no point just pity selecting bands or acts to play at a festival, I don’t feel that would change anything. Attitudes need to change. Rosy, will your pet monkey Hank be making an onstage appearance? Rosy: No, he's been a very naughty boy! Rosy: It's too bad to say. You now have the addition of synth and violin, when you were writing the album did you always imagine having these live elements? Rosy: We’d always been very keen to record with these sort of elements, and when we went to Dan’s (their producer) studio we had copious amounts of instruments to choose from. After recording the album we wanted to replicate this deep full sound so it just felt necessary to ask the Siberian Tiger and Bower Baxx. What can a festival crowd expect from your live set? Lottie: They can expect a jangly rendition of our album, with a few more mistakes and imperfections, as those are the parts we embrace! How have Edie Lawrence's prop goats withstood life on the road? Lottie: Clarice is in tip top shape, she looked better after tour then we did! What's your top tip for surviving a festival? Lottie: Wrap up warm, wear some wellies, and drink plenty of water. Rosy: Factor 50 suncream, rinse, rave, repeat!